https://dlg.usg.edu/collection/gsg_edgm, which contains maps from 1798 to 1961 that illustrate Savannah property holdings, as well as land subdivision for City and private development. The maps also record property lines, right-of-ways, water and sewer lines, and street openings. Many maps include the names of property owners. https://dlg.usg.edu/collection/gsg_scswsm. This collection includes survey maps of Savannah’s wards prepared in 1939 and 1940 by the Works Progress Administration (WPA) as part of the three-year, $65,000 WPA Savannah Cadastral Survey project. The city of Savannah is laid out in a system of wards, or blocks of land. The Cadastral Survey included all wards within the City’s corporate limits at the time. On May 9, 1940, Major H. U. Wallace, District WPA Engineer, presented Mayor Thomas Gamble with the Ward Survey Maps at City Hall. The survey was originally intended for use of the local tax assessors, but it has also proved useful for planning public utilities and improvements, determining property lines, and tracing the history of buildings and properties. 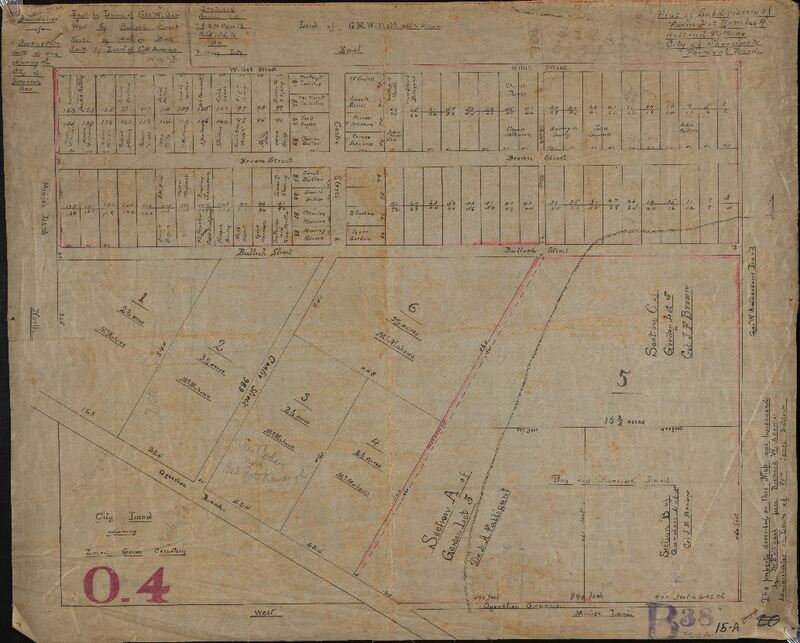 Record Series 3121-020, Engineering Department – Major Subdivision Maps, 1871-1972, no date, https://dlg.usg.edu/collection/gsg_edmsm, which includes 249 maps of Savannah neighborhoods and subdivisions submitted to the City of Savannah Engineering Department for review and approval. The maps were prepared by a variety of surveyors and engineers, representing the City of Savannah, Chatham County, and private engineering and architectural firms. Many of the maps are copies or tracings submitted to the Engineering Department. Some of the maps include approval information by the City Engineer, County Engineer, Chatham-Savannah Metropolitan Planning Commission and/or the Mayor and Aldermen of the City of Savannah. These historical maps are a rich resource documenting the development of Savannah’s town plan, wards, and neighborhoods through the 18th, 19th, and 20th centuries. Within the General Maps collection, the City of Savannah Municipal Archives has included a very early 1798 township map that documents the extension of the “Oglethorpe Plan” outside of the town limits to encompass the garden and farm lots. This, along with the progression of maps throughout the 19th and 20th centuries, show how Savannah’s unique plan was executed and evolved. The maps can be studied by urban planners, historians, and preservationists, and provide important insight for people making planning decisions today. The City of Savannah Municipal Archives has seen a dramatic increase in researcher interest in Savannah’s 20th century development, including citizens and community groups trying to document their neighborhoods, as well as historians researching the loss and preservation of Savannah’s infrastructure and built environment and how that fits in to a national context. The inclusion of the mid-20th century Ward Survey Maps provides a valuable point-in-time snapshot of Savannah before the preservation movement began. The City of Savannah Municipal Archives collects, manages, preserves, and makes accessible records documenting the City of Savannah’s history; administers the records management program and the City Records Center to increase the efficiency of City agencies; and shares the City’s history with City employees, citizens and visitors through outreach activities. 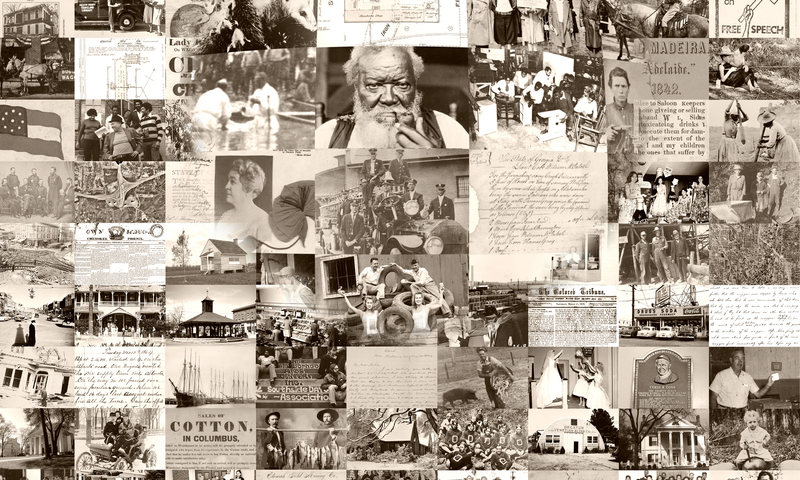 The Municipal Archives services reference requests from researchers and the general public which relate to archival and historical City records under its administration in the City Records Center, and shares the City’s history through a variety of public outreach activities, including tours of City Hall, permanent and rotating exhibits, and special programs. Featured image: Boundaries of Brownsville, south of and adjoining the City of Savannah Geo. [Bounded on the] east by land of G. M. Willis; west by Bulloch Street; north by land of Minis; south by land of G. W. Anderson. Included Garden Lots 7, 8, 9, 10, 11 and 12 subdivided to 136 building lots.